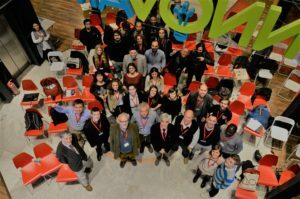 Edumotiva- European Lab for Educational Technology in collaboration with the University of Padua and the INNOVATHENS- Hub of Innovation and Entrepreneurship City of Athens organised with success the EDUROBOTICS 2016 International Conference on November 25, 2016. 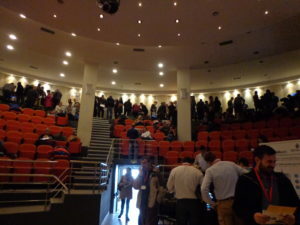 We would like to thank all the participants for their insightful contributions! 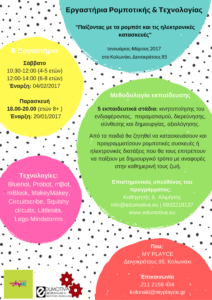 The ROBOESL international conference “Robotics-based learning interventions for preventing school failure and early school leaving ” is organised with success by Edumotiva (European Lab for Educational Technology) in collaboration with the 7th Secondary Educational Committee of the Municipality of Athens and the 6th lab center of Piraeus at the Technopolis City of Athens. 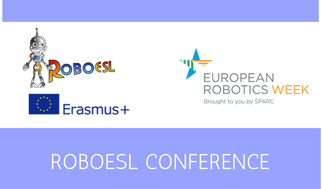 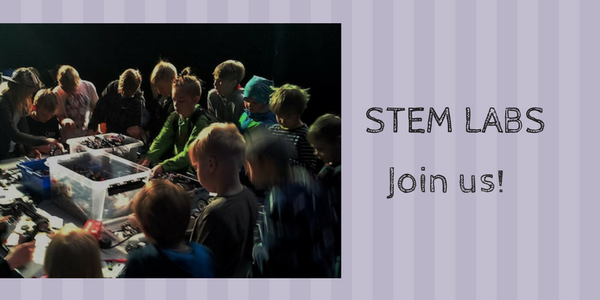 The conference took place in the context of the ROBOESL project (ERASMUS+ Project RoboESL: 2015-1-IT02-KA201-015141).